Hey there, thanks for the request! Glad you got some use out of it! Néanmoins le personnage principal qui l'air de rien est pas nigaud en plus d'être un otaku (qui plus est dans l'armée, le corps de métier que j'aimerais intégrer). Une histoire franchement sympa, j'veux dire, des humains évolués qui rencontrent dans un univers alternatif en passant par un hangar en plein Akiba des gens restés au moyen-âge, qui possèdent des dragons et cotoyent des elfes etc... Plus original tu meurs. 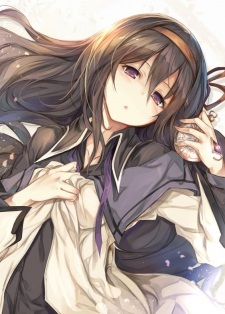 Sinon, je vois Overlord dans tes fav ainsi que Youjo Sneki, j'aurais un serveur Discord à te proposer, intéressé ? You do not need to apology !! I speak arabic and english really good but my french isn't that amazing lol. No worries. Everyone has different tastes. I didn't see your post before and only just now lightly skimmed the one that I think you're referring to. I personally don't mind how shounen anime are structured as long as they're executed well and that I enjoy them, but I also don't think there is any reason for me to try to champion the value of "cliché" shounen protagonists to you. Again, that's just an issue of tastes. Personally, I was pretty bored watching Tokyo Ghoul and may never get back around to watching any more of it. I also haven't seen a single episode of Attack on Titan and probably never will at this point; it really doesn't look interesting at all to me. Code Geass and Death Note are also shows that I tend to consider rather overrated relative to my tastes, though I definitely enjoyed Code Geass much more out of the two. Non je ne suis pas francophone et je ne parle pas le français en public parceque mon pays d'origine parle l'arabe :) .. je l'ai appris en école malgré je ne suis pas trés forte en cette langue ;) .. I wanted to say that your Pingu in the City review isn't horrible as someone below me claims and I actually think you did a rather good job for English not being your first language. I didn't immediately notice any major grammatical errors and it was pretty concise for a "pointless" review. I would say that I find it odd that we have a -7.4% anime affinity when we have a good amount of similar scores, but I guess your apparent deep hate for certain shounen adventure shows throws it off quite a bit. To each their own, I suppose. Uh.. I meant the main characters (except Kyubey). Seriously, I hate both Kyouske and Hitomi..